This catastrophe could have been avoided had there been proper initial planning. 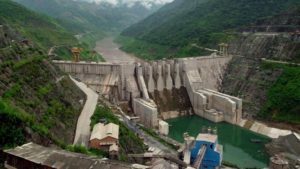 Although the government says it is taking steps to ensure that a similar incident never occurs again, with 11 dams planned on the lower Mekong mainstem and over 100 planned on its tributaries, the future for hydropower development in Laos, and other Southeast Asian countries, is a menacing threat. The Mekong originates in the Tibetan Plateau, flowing through China’s Yunnan Province, Myanmar, Laos, Thailand, Cambodia, and Vietnam, before its delta where it meets the South China Sea. The river and its tributaries provide food, water, recreation, and transportation for more than 60 million people. With more than 1,100 species of fish, and accounting for nearly 25 percent of the global freshwater catch, the river is considered one of the most biodiverse in the world. The river is also known for its inland fisheries, which have been essential to local livelihood for generations, and the seasonal ebb and flow of the river has been crucial for rice production and agriculture. Further downstream in Cambodia, the Tonlé Sap—a huge freshwater lake in the lower Mekong basin that millions depend on for food, water, and economic stability—is threatened by dam construction. The lake is dependent on seasonal flooding for fish production and floodplain agriculture, but changes in flow and water level could cause serious consequences to the ecosystem. The Tonlé Sap is one of the many examples of areas that need protection from dam development. Tonlé Sap Lake Waterkeeper, a member of the Save the Mekong coalition, has been active and outspoken about preventing dams on the Mekong mainstream. July’s disaster highlights the incredible risks of poor regulation in countries where the livelihoods of millions are reliant on a waterway. On the Mekong, work has continued on two of the biggest dams, causing many to question how serious the government is in implementing the suspension. If Southeast Asian countries are concerned because their citizens need electricity, research shows hydropower dams are not a viable solution. Save the Mekong has urged the government to consider renewable energy sources as an alternative to destructive dams. Conservationists are pushing for investments in solar and wind technology, which can produce power output similar to dams, but at cost-competitive rates without all of the negative impacts.